What an amazing morning at Burleigh. Well done competitors and thank you to all sponsors, supporters and our orange team of volunteers. Please copy and paste belwointo URL bar above. Click here for Race 2 results - Sunday 14th December - Order Short Swim Short Run twice through - conditions - tough - vibe = awesome. Congrats to all participants and thank you to our great sponsors and volunteers for making this event possible! Next race is our major Australia Day - entries now open on website home page! Click here for Race 1 results - Sunday 9th November - Order Swim then run - conditions = awesome - vibe - memorable! Congrats to all participants and thank you to our great sponsors and volunteers for making this event possible! 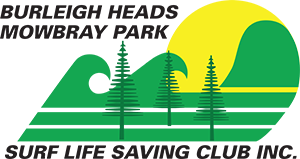 Next race Sunday 14th December - Australia Day entries now open on website! Click here for Australia Day results - Monday 27th January. A big congratulations to all participants, spectators, sponsors and officials in making this race a huge success for 2014. We hope you enjoyed your swim run experience. Jump on facebook - Burleigh Swim Run for photos. Special mention to the big four sponsors in making this event happen - Kingfisher Realty, The Running Shop TRS, Zarraffas at Reedy Creek and Bluhat. Race 3 wrapped up the Sunday series and it didn't disappoint! In small but testing conditions all athletes did exceptional well and need to be congratulated on their efforts. This now leaves only the Major Australia Day event which is set down for Monday 27th January (Public Holiday) - entries need to be on this website (see home page). Congrats once again to all participants and a big welcome to the new competitors and we hope you enjoyed your Burleigh Swim Run Experience! Click on tabs down bottom or top for your age group. Congratulations to all participants and 'thank you' to all volunteers and sponsors for making race 1 of season 4 a huge success. Have you booked your spot for the major Australia Day event? Click on icon to enter. Limited spots with early bird entry finishing December 31st. Congratulations to all particpants and 'thank you' to all sponsors and volunteers for making the twenty thirteen Bluhat Swim Run a huge success in and along beautiful Burleigh Beach! Race 3 of the Bluhat Sunday Series included a beach run and what a challenge it shaped up to be. With great numbers and an array of mixed abilities and gender, this Community fitness event was a spectators delight (along with getting Burleigh Crust Breakie Pizza and a Zarraffas coffee while observing the race). Local Gold Coaster (and Age World Tri Silver Medallist) Brad 'Back in Motion' Beer produced the goods in the run leg to take out the Open Male division with youngster (only 15) Isabel Lund continuing her dominance in the womens field. It was also a family double with Jack Lund and partner (Walker) taking out the mixed team challenge. For all the results click above link. Race 4 will be on Sunday the 6th January and this is the final round of the Sunday series. There are some absolute cracker pointscore challenges presently taking place e.g. 40+ Males and Open Females, with consistency the key. Check them out! A big 'THANK YOU' to all sponsors and volunteers for making this morning another huge success for community fitness. Have you entered the Australia Day Challenge yet??? Positions are filling up fast, don't miss out (see link on home page). It was a wet and windy one after a night of storms but plenty still came out to test themselves in the Run Swim format. The Zarraffa's swim leg was similar to that of a swimming pool with high tide moving in and a small 1 ft of swell but it was the run leg first that sorted many out due to the transformation of blood flow from the legs of the run to the arms of the swim. Congrats Chris Moors who continued his dominance in the Open division while young gun Isabel Lund pick up a first for the females even though she is in the 16 girls category. Congrats to all that took part, the sponsors and the volunteers for making Race 2 a fun and enjoyable morning. Next race is Sunday 9th December with order Swim then beach run! Have you entered the major Australia Day race set down for Monday 28th January (Public Holiday)?? Jump on home page and hit the entry link. It's going to be huge! Congratulations to all competitors and a big 'THANK YOU' to all volunteers and sponsors in making Race 1 of Season 3 a huge success. Congrats Chris Moors (OM) and Dev Halligan (OF) overall winners on the day for male and female divisions. Top 3 highlights of the day: 1) the great mix of quality in the field along with diversity of ages, genders and abilities. 2) The run leg of Isabel Lund 3) the atmosphere, the vibe and yes .... the Crust bacon and egg Pizza (first of its kind). Thanks to all involved. Next race November 18th (Path Run / Swim). Entries for Australia Day weekend (Monday 28th January 2013) are now open, click on home page link to enter! Until next time, stay fit, stay healthy! 16th October Race 1 News - 'Congrats' Phil Clayton and Brooke Eacott for taking out Open male and female divisions of Race 1 2011/12. On an absolute cracker of a day with clean 2ft surf, both winners dominated the huge field. Great effort to all athletes and a big 'THANKS' to all volunteers and sponsors. Next race Sunday 13th November 6am rego for 6.30am start - format RUN THEN SWIM! Click results link below for all the results. 13th November Race 2 News - On a nice but muggy morning with next to no swell, Burleigh was alive as close to 200 participants took to the Run then Swim format. 'Congrats' to Luke 'just made the start line in time' Cuff and Isabel Lund (16yr) for taking out the fastest Male and Female times for Race 2 2011/12. Great effort to all athletes and a big 'THANKS' to all volunteers and sponsors. 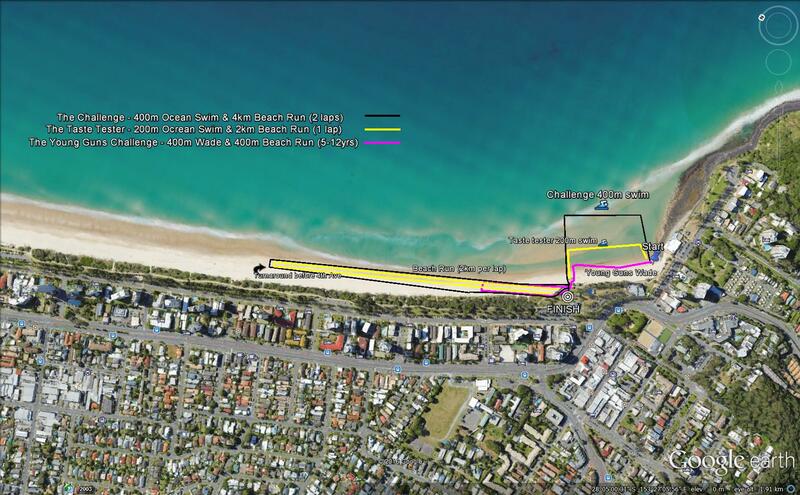 Next race Sunday 18th December 6am rego for 6.30am start - format SWIM THEN BEACH RUN! Athletes will still go through transition after swim. Click results link below for all the results of race 2 and progressive points. Once opened , overall position shown with age category tabs down the bottom - just click on your category for Race 2 results and progressive points for series. Enjoy! 15th January 2012 Race 4 News, Results and Overall Sunday Series Placings - Race 4 witnessed the last of the Sunday Series Races for the Summer (leaving only the Australia Day Race to go). With another great turn out in overcast (light drizzle) conditions and a 2 ft shore break, the format 2 x Swim Run was a real winner and crowd pleaser. Congrats to Luke Cuff and Tenille Devine for taking out Race 4 along with Open male and Female Series Championships. Well done to all and please click below link for all results.